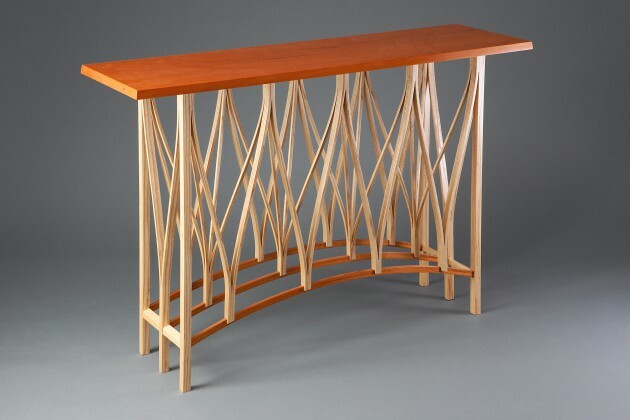 Each of the four elements of the Parabola Buffet Table are created from one piece of wood, carefully cut from several directions, then steam bent and expanded to their final shape. 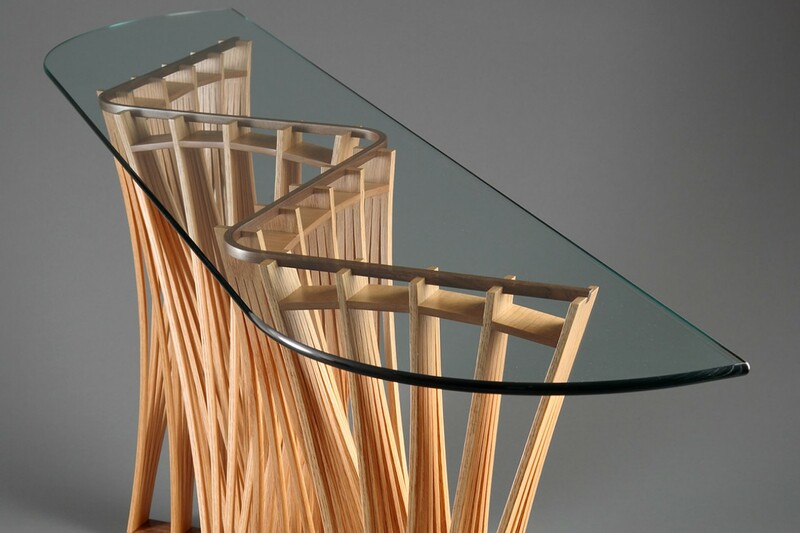 After they dry, they hold their new shapes and are stiffened with a continuous piece of bent laminated walnut. 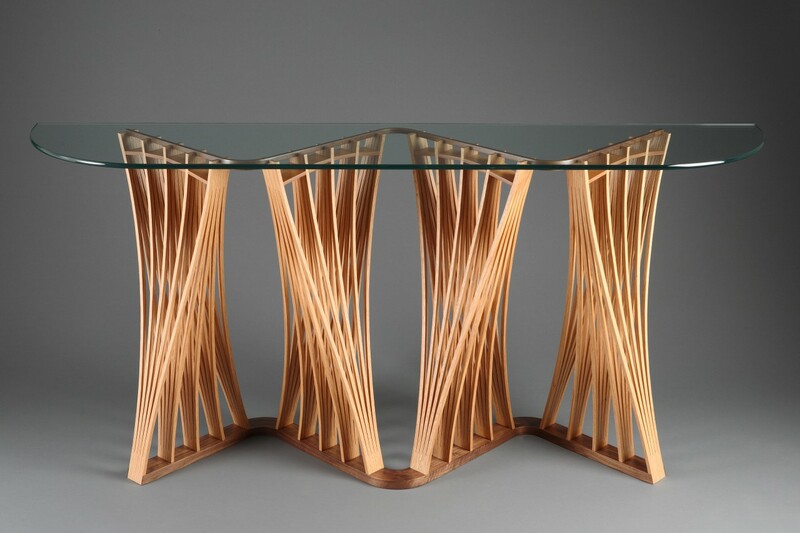 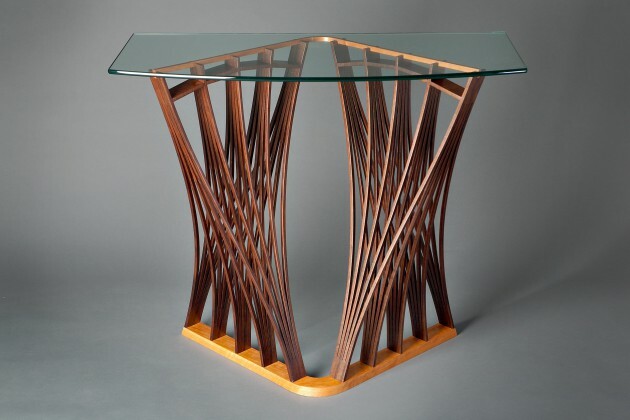 The Parabola Buffet Table design is available in a variety of hardwoods and sizes, and the glass top can be made in an array of shapes and edge treatments. 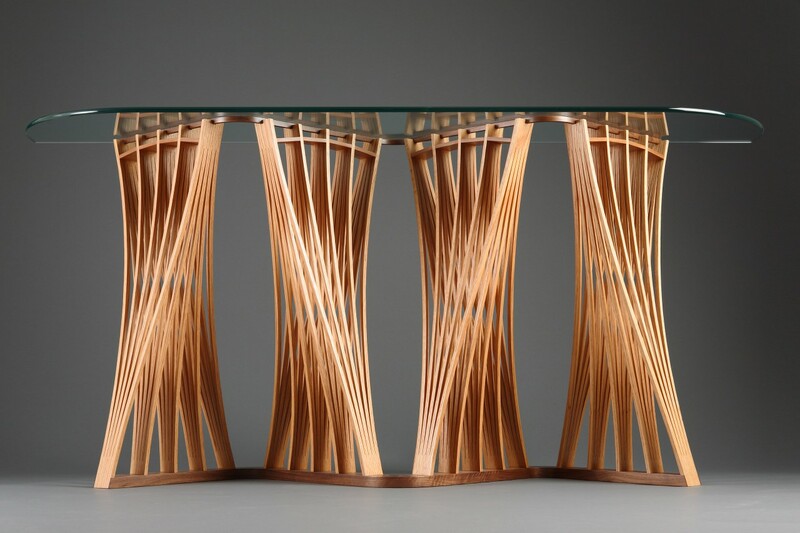 I have made other versions that function as a side table, display table and hall table.